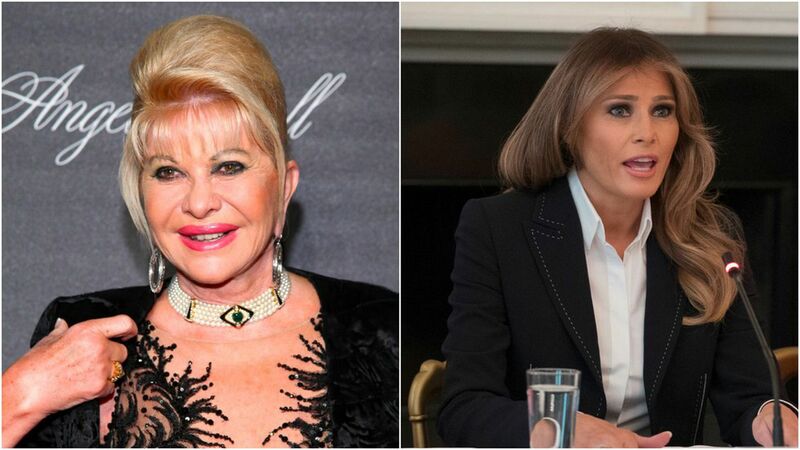 Ivana Trump — President Trump's first wife and the mother of Ivanka, Don Jr. and Eric — said in an interview with ABC about her upcoming memoir: "I'm basically first Trump wife, okay? I'm First Lady, okay?" In response, Melania Trump's spokeswoman fired back, saying, "There is clearly no substance to this statement from an ex, this is unfortunately only attention-seeking and self-serving noise." On her relationship with the president: "I have the direct number to White House but I don't really want to call him there because Melania is there and I don't really want to cause any kind of jealousy or something like that." On Don Jr.'s place in the Russia probe: "I know that he was not involved at all in any wrongdoing." On Trump's decision to end DACA: "I really don't know, I would not send [away] probably thousands and thousands of kids which were born here."